10-6 over Tennessee in Birmingham. It was huge, Amazin even. The Vols were No. 4 and three touchdown favorites and had All-American linebackers and the nation’s longest winning streak and a great dual-threat-ish black quarterback named Condredge Holloway, one of the first black quarterbacks Auburn’s defense faced, which may or may not have had something to do with the all-out assault he suffered to devastating effect. The jury is now in on the Tigers and the rest of the conference had better beware. The Tigers are for real. The 10-6 score of Saturday’s game does not reflect the whipping Tennessee took. 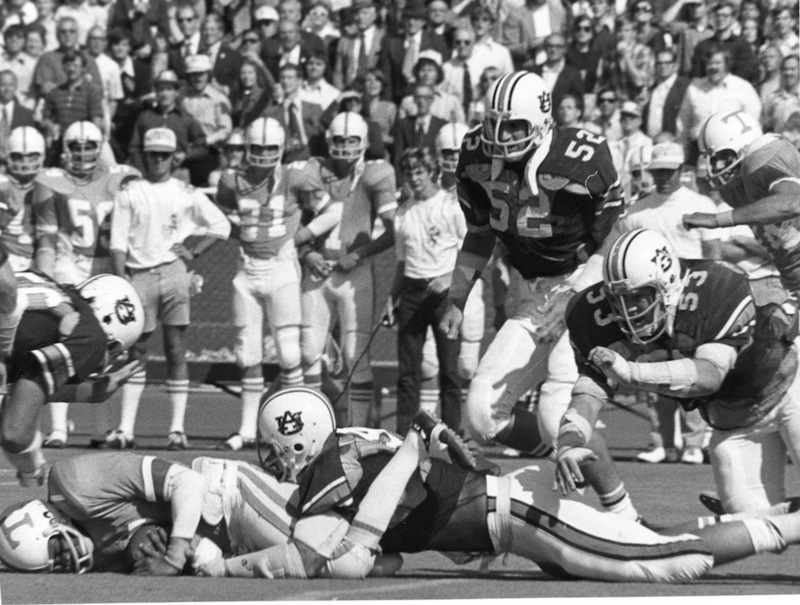 From the opening play, when Holloway was slammed to the turf for a ten-yard loss, the Tigers dominated the game. The lone Tennessee score came with 1:36 left in the ball game and proved too little too late. For its sparse talent, truly this Auburn team is amazing. Amazing. Amazin. Amazins. You can watch the birth of a nickname* below. The narration is the Tennessee broadcast booth’s. It’s beautiful nonetheless. And there are more photos below. * At least that’s how some folks say it started. 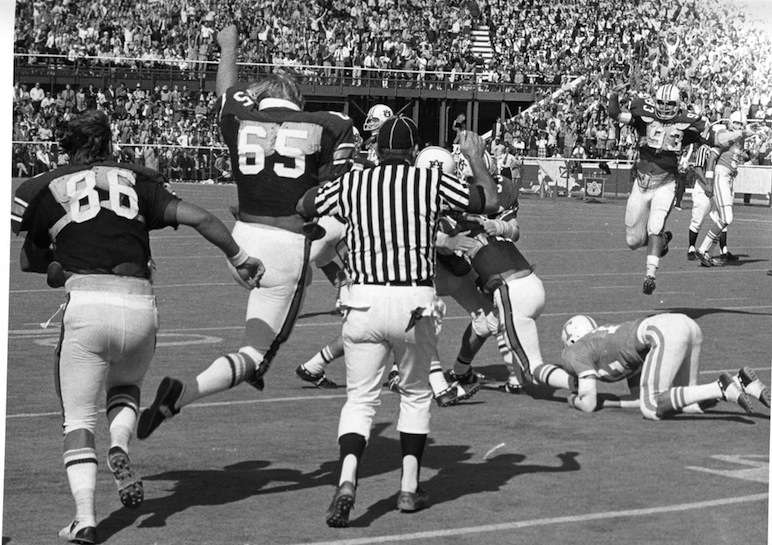 You can watch the 1970 game here. Photos: AU Archives. Video courtesy Allen Spain. Related: The Amazin Deck of Cards. 16 years old and going crazy during that game. 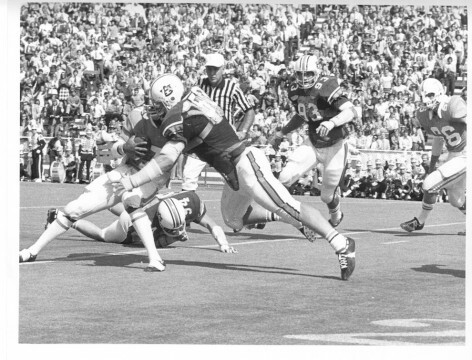 May be my all-time favorite Auburn team! Just a few observations watching the replay…. 1) Ken Bernich and Danny Sanspree were beasts! 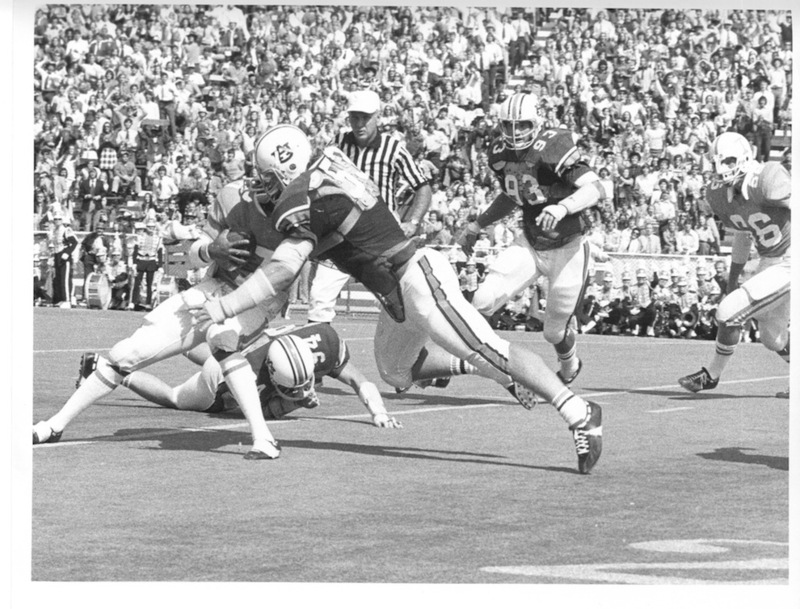 2) Auburn never met a forward pass they liked. 3) 5-play playbook starring terry Henley. 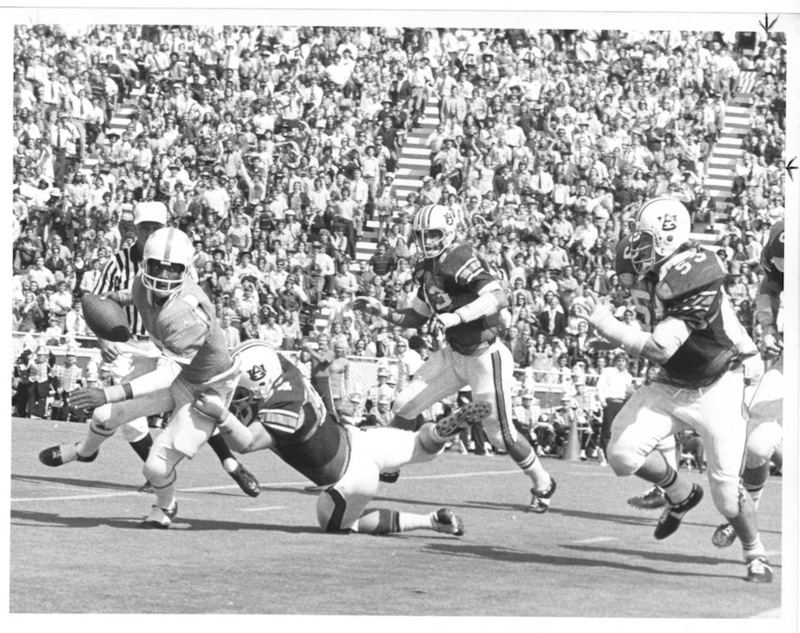 4) Gang-tackling is a lost art today. 5) Defense wins games! Thanks for posting Jeremy….brought back a lot of great memories of a truly awesome team! No this is how you tackle!